An experienced native speaking American voice artist based in London with a vocal style that is warm, rich and engaging, compassionate and sincere; it can be used across all platforms. 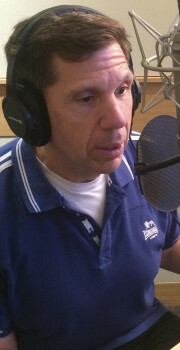 Robert has experience doing corporate narrations, films, commercials and television for a wide range of clients including ITV, General Electric, GSK, and PWC along with ad agencies, educational companies and localization firms, He has been a featured voice artist on the BBC 4 Radio programmes The Imperative Mood and The Interrogative Mood. He is a member of Equity, American Actors UK and The Voice Over Network.